If Kompakt Records and it's roster did not exist someone in Germany would've had to invent it. It's the Mowtown of modern glitchy German techno. Some say placing a label on a list of artists and bands is unseemly. I disagree to a point. Surely to put any number of effective but not entirely well defined indie labels would be inadvisable. What Kompakt has is a stuborn sort of cohesion amongst it's artists each different and special, but also each pushing and pulling at the same musical ideas. Kompakt' Total 6 was the electronic album of the year. Minimal and dancey with a depth that is hard to really find but is harder still to ignore. 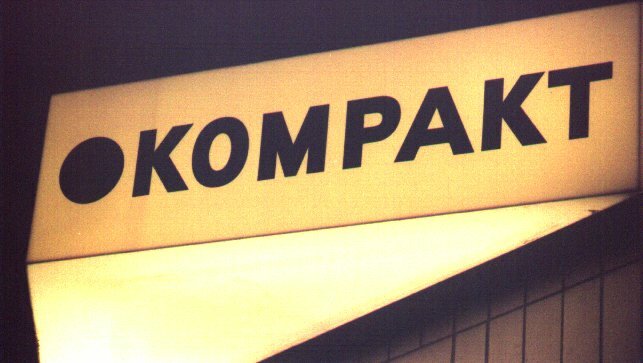 Kompakt are effectively carrying on for the Kraftwerks and Morodors of our past. They are also amongst the only straight electronic operations still making strikingly relavent always forward looking music.